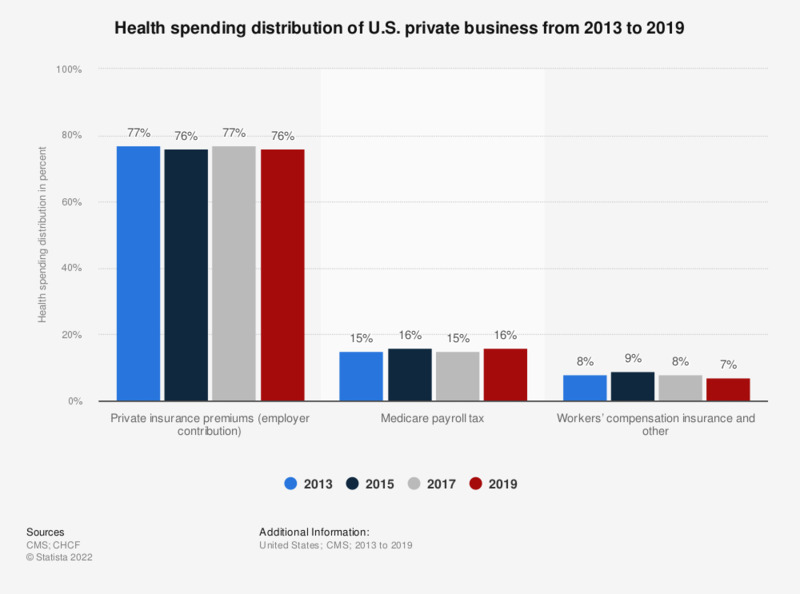 This statistic illustrates the health spending distribution of the private business sector in the United States from 2012 to 2016. In 2016, private insurance premium (employer contribution) made up 76 percent of total U.S. private business health spending. Health spending refers to national health expenditures. Not shown: other private revenues, which includes philanthropy, privately funded structures and equipment, and investment income. Medicaid buy-in premiums for Medicare are reflected under Medicaid. Figures may not add due to rounding.